Since the 25th April (apart from 22 days back in the UK) I have been lucky enough to spend the rest of the time out in the Vaucluse, sorting out our new house & getting under the skin of the beautiful area we have called home for the Summer. It’s been hard at times, especially when I was only in contact with my hubby & family via Skype as they had stayed in Devon to finish the school term & get ready for their epic #MoortoMed bike ride, but since they arrived a month ago the time has just flown. I know we’re very lucky to have had the chance to live out the dream that we have had for so many years & I’m pleased to say that in many ways it has been even better than we could ever have imagined. Inevitably we’ve felt in holiday-mode, but we’ve also started to settle into the area finding all the necessary bits that are needed to turn our little house into a home and setting things in place to make sure that we can enjoy living here for substantial periods of time until we are able to permanently make the move at some point in the future. The exciting day when the sofas arrived & I no longer had to sit on a garden chair! We’ve spent days upon days exploring the area by bike, finding new rides & visiting new places interspersed with the more mundane tasks of finding builders, bike mechanics & vets together with sorting out telephone, wifi and French lessons. It’s been a busy few months, but to be honest we’ve enjoyed every moment. It took a while to adjust to the thought that we didn’t have to cram all our favourite activities into a brief 2 week period, but once we had shifted our way of thinking the days have just passed and all of a sudden we’re facing the end of our first Summer here and already planning our next visit in a few weeks time. 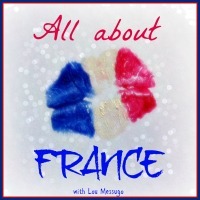 There have been a few things that have been really useful for us, first and foremost finding an excellent local French teacher for my hubby, who is really keen to improve his language skills from basic holiday French. She really has been a star and has patiently pushed my hubby on week by week, both at our house here and via Skype when he was back in the UK. She has made the process as easy as possible and he really has made great progress, no longer speaking like ‘Del Boy’ from ‘Only Fools & Horses’ after a really short period of time – (although he has ended up with more homework each week than my son who is doing his GCSEs next year!). On top of being a great teacher, she has also proved to be a good friend, introducing me to the delights of Soupe au Pistou and helping us really settle into the area, pointing us in the direction of local businesses supplying just about everything we need from a new woodburner to a ‘Chapon’ which will be needed for Christmas lunch! Spending a long period of time here has also made us change our mind about some of the things that we had discussed doing to the house. When we were in the process of buying it we spent hours talking about the bits of work that we would need to do to make the house work for us, but living here has made us change our mind. Rather than look to build walls we’ve re-covered old fabric screens and used heavy fabric to create temporary walls where we need them. What we’ve realised is that there is no hurry to do anything at all – for us the house works well as it is and we can spend time making sure that when we do have work done it will be right for us. In the meantime the only thing we’ve had to do has been to get a system in place to stop anyone being interrupted whilst they’re using the very open-plan bathroom, which (happily) has worked with no one being caught out unawares so far! Our Sunday mornings have become a time for pottering around the local village Vide-Grenier & Brocante markets, sourcing bits & pieces for the house & terrace. This is such fun & we’ve managed to find some wonderful & unusual pieces at a fraction of the cost of buying something similar in a shop. Our favourite events have certainly been the small village Vide Greniers, where the streets have been closed to traffic and are filled with people out browsing the many & varied stalls that sometimes almost seem to fall out of people’s houses. We’ve managed to find some wonderful pieces and I think it’s fair to say that our house will be furnished with a rather eclectic mix of bits, probably not to everybody’s taste, but it will suit us down to the ground. We have also been able to spend time to find the smaller Farmers’ Markets and roadside stalls where local producers come to sell their fruit and veg. By far our favourite of these is the market at Coustellet on a Sunday morning, where the car park fills with local farmers who seem to sell whatever they have taken from their fields or trees that day, although the Tuesday morning market at Apt comes a close second. In the relatively short period of time that we been here I’ve grown to really appreciate that you eat with the seasons, a far cry from the all year round produce that we can buy in the Supermarkets at home. For several weeks the strawberries were piled high, then the cherries, followed more recently the beautiful scented Cavaillon melons, apricots & peaches and now my personal favourite the local figs. As the season has changed so have our eating habits, but whatever we have eaten it’s been fresh & tastes fantastic and it will seem rather strange not having such easy, ready access to produce like this when we head back to Devon. So that’s it 4 months of living the dream in France – it is a wonderful place, filled with people who have been keen to welcome us & help us settle in. The area, which we already knew well really does offer us everything we want, particularly the warm, dry weather, allowing my hubby to indulge in his love of walking around in bare feet. There’s almost unlimited, superb cycling from the great off-road Veloroute du Calavon to the ultimate challenge of Mont Ventoux or the spectacular cycle through the Gorges De La Nesque. The ride through the Gorges de la Nesque is just stunning – cycle heaven! We’ve certainly got further under the skin of the area than we’ve ever managed before, and see it somewhat differently now that we have the house here. We no longer have to pack our activities into a 2 week period and can take our time to really enjoy everything the Vaucluse has to offer. The boys are both comfortable here, in fact our youngest feels he knows the area better than he knows where we live in Devon and I think it’s fair to say that all of us will find it a bit of a wrench when we have to head back in time for the start of the new term. 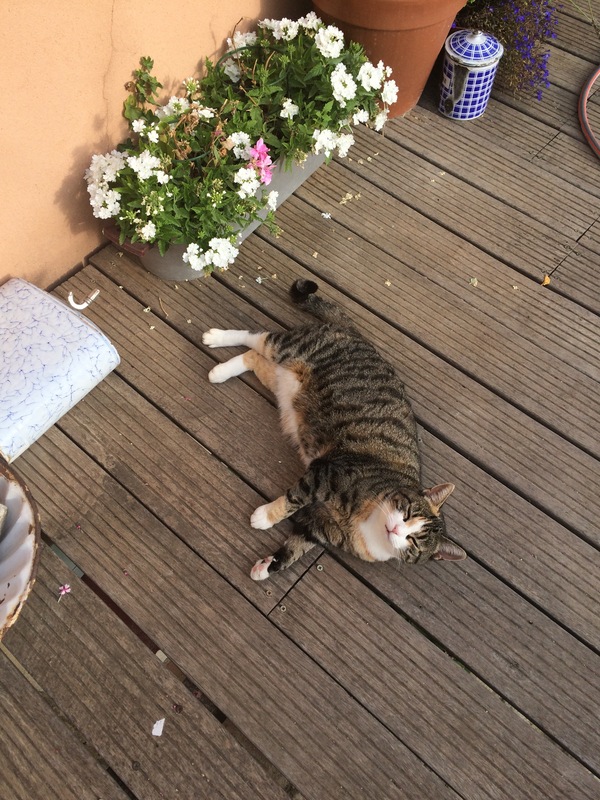 The family member who will find it the hardest though is ‘Pusscat’, who despite all our worries has settled happily into the Mediterranean way of life, spending her afternoons stretched out on the terrace in the shade of a bench or chair. I’m not sure that she will relish being pulled away from either her favourite spot or the local wildlife! We aren’t away for too long and will see the season change again when we come back to oversee a wood-burner being fitted to keep us cosy in the winter months. Then there will be a whole new set of things for us to do and we really can’t wait! Hopefully Autumn will bring the birds to our feeder from the wonderful Cuffy’s in Exeter! 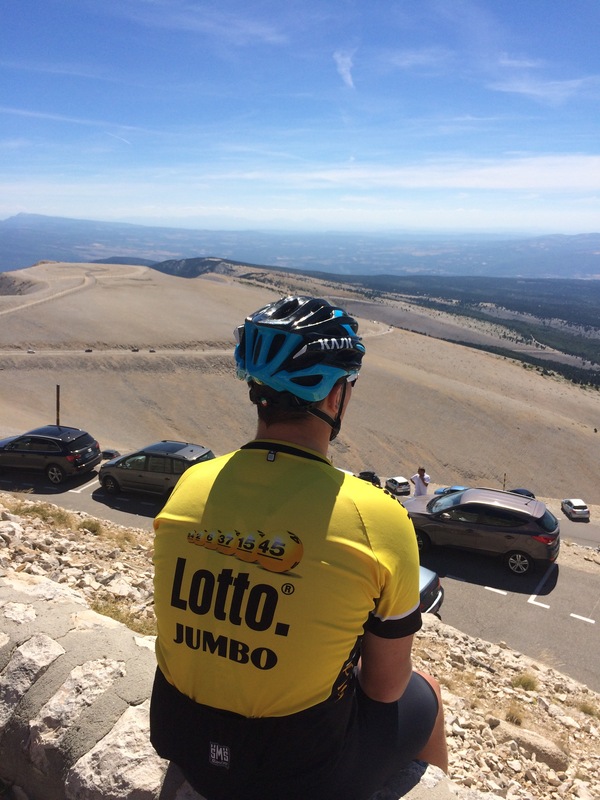 Previous Post Watching the Tour de France on Mont Ventoux – What a day! Next Post Andy meets a dog with a well rehearsed party trick! Great to hear how your life here is evolving, glad you love it as much as we do! Keep on blogging. Looking forward to it – I knew you’d be on the case! Actually sold 2 pieces here so need to get my act into gear out here too!! I would be sad leaving too. In fact, we are visiting right now, and it will be sad to leave and head back to the United States in a few weeks. I try to appreciate every moment of where I am and take it all in. I am so pleased that you are settling in well so far. Thanks – just can’t wait to head back out in a month’s time ! Thanks – it certainly feels so right even during the time when we’ve been trying to get the basic necessities of life sorted out there – we’re all really struggling with having to head back to the UK. I just wish we could make the move permanently, but the boys’ current age / study makes it impossible at the moment, but we all know we want to head out & spend as much time as we can there! Yes that’s our cat – imaginatively called ‘Pusscat’! She’s had a fantastic time too & will miss the local wildlife when she comes back too! Thanks – we hope so too! I’m pleased you like the photos- they keep us going on dull dreary days like today! Thanks it is lovely – it really does feel like a second home, rather than simply a holiday house & it’s so nice to be able to have the chance to start a home again from scratch! Beautiful! We’re coming to join you! Such a great place – you’d not regret it!